“Nobody likes to pay. Yet, the payment is the heart of the relationship with the client because it is the last contact that we have with him. Therefore, it is essential to offer a smooth payment experience, safe and enhanced with new services (fractioned payment, budget monitoring …).The aim is to facilitate payments and get rid of any constraints." 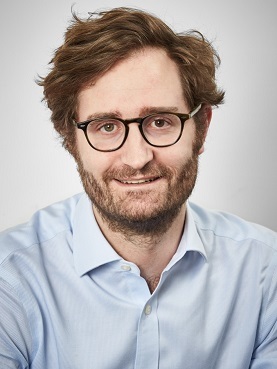 Cyril joined the retail Group Casino in 2014 as Deputy Head of Strategy and Financial Planning, before holding the role of head of Operations from 2015 to 2017. Since 2018, he serves as Chief Strategy, Digital & Innovation Officer for the group. Previously to Casino, Cyril assumed various functions at the French Ministry of Economic Affairs & Finance (Agence des Participations de l’Etat). Cyril graduated from HEC Business School, French Ecole Polytechnique and Paris VII University.